There is an old saying that racing improves the breed and never was this more true than in the case of the Seeley Honda 750. Not that the Seeley is >a racing bike, it is simply that its manufacturer, Colin Seeley, has spent his whole life surrounded by racing motor cycles. Seeley himself is a British ex-sidecar-racing champion and his whole outlook on motor cycling is steeped in the racing tradition. 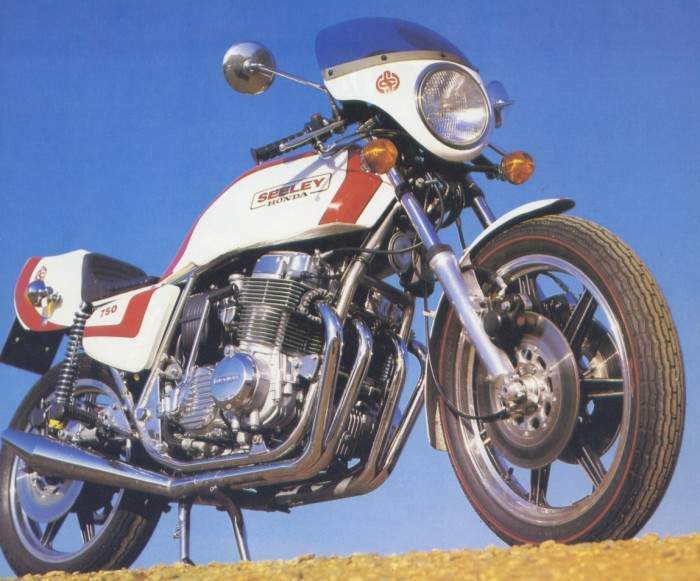 The Seeley Honda is an attempt to combine the best aspects of both the British and Japanese motor cycle industries. Nobody builds better frames than the British while the Japanese are acknowledged aces when it comes to designing sophisticated yet reliable engines. Put the two together, reasoned Colin Seeley, and you have the ultimate motor cycle. That is precisely what Seeley did and if the Seeley Honda 750 is not the perfect motor cycle it certainly is not too far away. For his frame Seeley designed a duplex cradle unit which he constructed from ultra tough Reynolds 531 tubing. The workmanship that goes into the welding of the frame is a joy to behold. All the joints are hand matched and the tubing is assembled with bronze welding. In all, Seeley saves 25lb in weight over the stock Honda CB750 frame. Not only is that the frame lighter but it is noticeably stronger. Lester and the rear dampers by Girling. The appearance of the machine is enhanced by a sleek 5-5 gallon tank, a natty little fly screen and a racy single place seat. The Seeley looks like I00 mph just standing still. 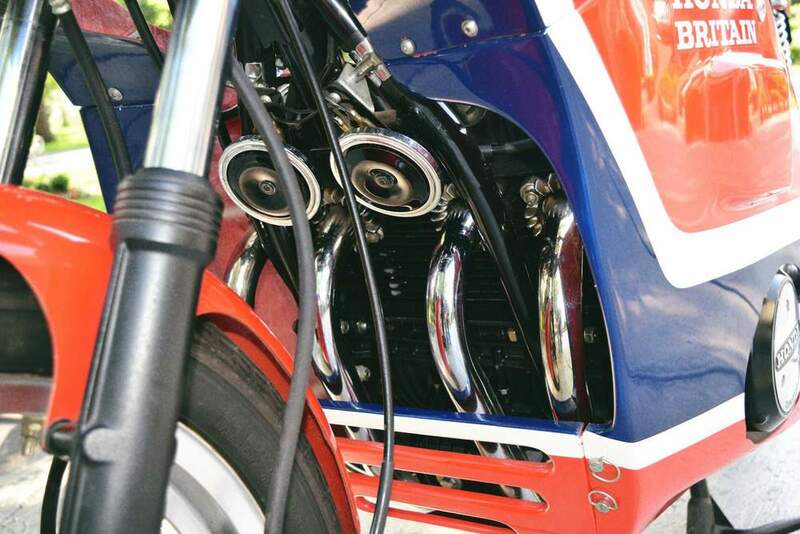 The engine of the Seeley is Honda's tried and trusted CB750 four-cylinder unit. In its present form the machine utilizes the older single-overhead-camshaft motor but plans are being made to redesign the frame to accommodate the newer twin-camshaft version. The original 736cc engine pushes out 67 bhp at 8500 rpm and has proved itself over the years to be a super smooth and practically unburstable engine. It has plenty of torque for smooth takeoffs and easy riding. Indeed, the Seeley is a most sophisticated machine due largely to the fact that the machine's electrical system is also by courtesy of Honda. The five-speed gearbox and transmission system are also stock Honda units and gearchanging is slick and smooth, making for swift and safe riding. and a smooth, powerful, civilized engine ensures that the bike is a pleasure to ride. The handling and steering are first rate and corners can be taken at quite breathtaking speeds. The grippy Avon tyres, mounted on their attractive alloy Lester wheels, also make for good roadholding. Directional changes can be made with a minimum of fuss and, together with the bike's powerful brakes, the Seeley inspires great confidence in the rider. The Seeley is not without its faults, however, Because of its sporting aspirations the bike is fitted with a small and rather hard seat and after a few hours in action it begins to make its presence felt. The other major complaint that can be levelled at the Seeley is that the stock Honda front forks are not up to the high standard of the rest of the bike. At high speed they tend to flex while fierce braking sometimes results in a slight juddering action. Bear in mind, however, that this complaint can only be made when the bike is travelling at the kind of speeds that would land you in jail in most countries, It is possible to have other brands of front fork fitted but, of course, this can be an expensive business. Seeley has chosen the stock units simply because of their cost factor and, if nothing else, the Seeley Honda is certainly one of the more reasonably priced superbike specials. exhausts and create yourself a real road-burning fire eater. Your wallet might not be able to take the extra fuel bills but it is odds on that the Seeley's frame certainly could handle all the extra power with little trouble. And there aren't too many bikes around about which that can be said.